It’s been over a month since the last batch of Instagram tips, and it’s been one hell of a month. Both for me personally (social media wise) as well as for Instagram. 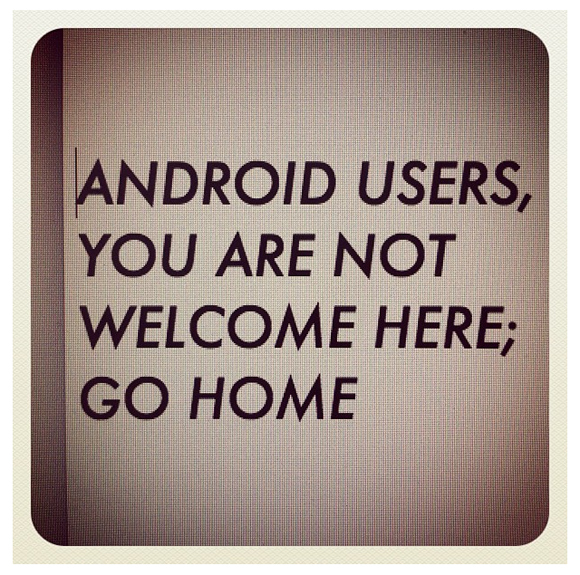 On April 3rd Instagram released their long awaited Android app. A lot of iPhone users felt less special because of it, but after a few days the hate was traded in for mostly smiles when people saw the number of followers bump up. In the first 24 hours more than 1 million Android users downloaded the Instagram app, and more than 5 million new Android users signed on in the first 6 days. Not too shabby. And then on April 9th the news came out that Facebook bought Instagram. It was like a bomb dropped. But really, was it that unexpected? If you can’t beat ’em just buy ’em right? Sounds like capitalism to me haha! My (by far) favorite social media guru Gary Vaynerchuk already predicted this in December 2011, so I wasn’t that surprised. I just thought it would have been a few months later. So now that all the whining and complaining has died down we can all keep on going. Right? I know I will. 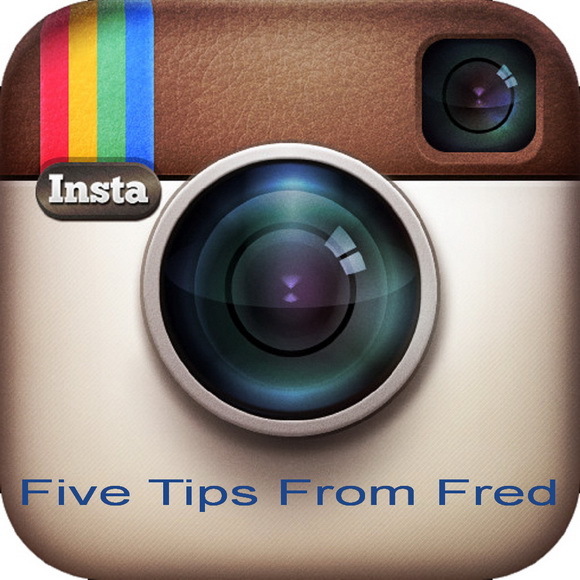 Here are 5 more tips for the use of Instagram, both for personal and business use. These 5 tips are mostly inspired by 2 major (core) skateboard events in the last few weeks, the Tampa Pro and the Phoenix Am. But even if you have never heard of those events, or you don’t care about skateboarding, these tips will still be helpful. A hashtag on Instagram, and Twitter as well, creates an online photo album of all photos that have the same hashtag. The “#” sign is no longer the pound key, the hashtag is truly 2012. I’m blown away that companies are still doing events and are not having an hashtag for the event. They really don’t care about people interacting? For the record, a hashtag is not just for a few people in your marketing department that are attending an event. It’s for everyone involved, especially the fans/consumers attending your event. All their friends need to see what is/was going on. People trust their friends more than anything, so if your friends are at an event and they are all using the same hashtag you will click on the hashtag, and you will most likely see who set up the event. So without even being at an event, you are still seeing what’s going on. Through the eyes of your friends. No other way of marketing can beat that. If you are at a big event, you can should also create your own hashtag. Make sure to add the hashtag of the event itself too. That way people that flip through the photos of the event see your hashtag, and then the chance will be way bigger they will follow you, and everyone else that used the hashtag you and your team is using. Example: Mickey Reyes from Deluxe at the Tampa Pro skateboard contest. If you handle multiple Instagram accounts you know that you have to log out of an Instagram account and log into another one. In Twitter you can easily switch between accounts, and I can’t wait for Instagram to add that feature. So when your brand sends a handfull of employees to an event, which Instagram account should they be updating first and foremost? Even though I follow various industry people in skateboarding (and in a way I prefer to see their updates over the brand) I still feel the brand’s Instagram account should be updated by the people (of the brand) attending the event. This goes for every social media platform. If you are doing a good job interacting with your fans and followers, your account is growing weekly, or most likely, daily. So you always have to think about the new people that started to follow you (while still keeping the followers in mind that have been there longer). So it’s really cool that you are using all your in crowd jokes, work lingo and industry jargon, but your business (growth) is really is dependent on the new, and most times young(er) consumer. So be nice to them, explain them some stuff at times and talk their language. And so tag (and hashtag) everyone with every chance you get. Don’t just assume people know. Showing that you care about them will pay off. And you current (old?) fans and followers will understand. It’s too easy to “like” a photo on Instagram. Double tap the screen and you are liking someone’s photo. I’ve heard some people just scroll through their feed and like every photo they see. Now when I get a like from those people it doesn’t really mean anything. 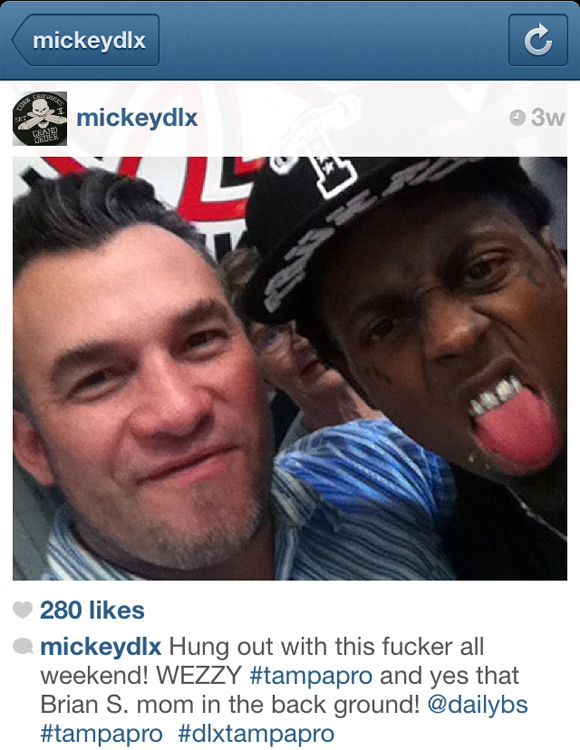 On the other hand there are people that barely like any photos. Nothing right or wrong about that, but if those people like my photo it actually means something. Less is more. Same for the brands you follow. Liking every single thing they post is just boring. Don’t underestimate the power you have. Like with care. For more Instagram tips see part 7 from a few weeks ago. It’s been a few weeks since I did a post with Facebook tips. By now you all know that Timeline is implemented on all Facebook pages. I’m still surprised to see various Facebook pages without a cover photo. Social media has become the front yard of your business, whether you like it or not. So why wouldn’t you invest some time in making it look good? More and more people have a smartphone, which means more and more people are checking their various social media platforms from their phone. This also means that people visit websites less and less (from their phone). So your website now has more of an arche function. It’s not dead, but it’s function is changing. If you sell on your website, this isn’t too different. Unless you start caring about your fans (and consumers) on social media, and make an emotional connection with them, people aren’t going to your website when you tell them too (on the social media platforms). Below are 5 more tips for Facebook, mainly about the new Timeline. In case you missed it, make sure to check out the Facebook Timeline article that I wrote for Transworld Business in late March. I’m a big fan of the Facebook Timeline, but one of the few things that I don’t like about it is the messaging option. This basically allows every single fan to send you a private message. Why I don’t like this? I want people to post on your wall, so I can see your answer. This will also prevent that some people ask the same question, at least in a short period of time. You know you have to reply to everyone that leaves a question/comment on your page right? And yes, you will have to answer the same questions over and over again, get used to it. Show that you care! Having a public conversation with one of your fans also allows other fans to join the conversation, or even better, answer some of the questions for you. To turn off the messaging option go to “Admin Panel”, “Manage”, “Edit Page”. Once you land on the “Manage Permissions” tab just uncheck the “Show “Message” button” in the middle of the screen. 2. How to feed your Instagram photo into Facebook. You’re lazy, I get it. You think the best invention in social media is the automat feed from one platform into the other. I do think it’s good to feed one platform into another one, just to show your fans you are also active on something else besides Facebook, but only 1 out of 5, or 1 out of 10 times. With Instagram hitting 40 million users (Facebook has 845 million FYI) you could feed an Instagram photo into your Facebook page every now and then. But when you do, just put some text with your Instagram photo, and then feed it into Facebook. Afterwards you leave an additional comment on your Instagram photo with the tags and hashtag. Since the tags and hashtags from Instagram to Facebook lose their value, it doesn’t make sense to have those show up in Facebook. It just makes it look messy. Keep it clean. Every self respecting brand should be posting content themselves, and tagging others whenever possible. Even is the content is from others, you want to have your fans see that you are giving them the news, so they have a good reason to keep following you. When you tag others Facebook pages (you can’t tag friend profiles from a fan page), your post shows up on the wall of the pages you tagged, meaning their fans see that you have a Facebook page. This is the perfect way to gain legit fans. Don’t tag random Facebook pages, you don’t want to spam. When you share a link from another Facebook page your post won’t show up on their wall, so you’re blowing a great opportunity to grow your fan base. Relax, people will see your page. When you tag others pages in a post your post will show up on the wall of the other pages, and people will see your page. So no need to tag your own page in that post. If your content is good, people will come to you, if not, than you should do something about the content you’re posting. No need to overdo it. Give it some time, just like your business your Facebook page won’t grow exponentially overnight. 5. Change your cover photo often, but not too often. Your cover photo should be a cool image, maybe a resized print ad or a rad photo. But since most people see your updates in their feed, and not on your actual page, you should keep the cover photo up for a little bit. I think brands are best off with changing the cover photo every month, and have it go along with the print ad. If you really feel 1 month is too long I suggest changing it once every 2 weeks. Will be good to have the cover photo go along with a giveaway, a new product or a tour/event you have coming up. Check out Facebook tips part 8 for more Timeline tips and tricks. And check the Timeline tutorial to see all the specs for the cover photo and the profile image.